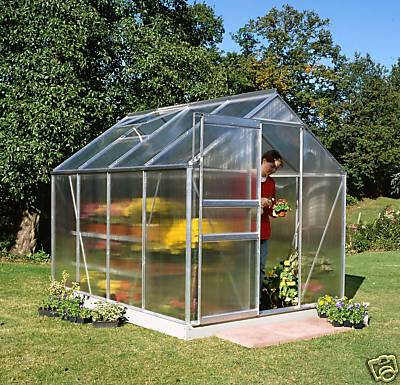 This Halls Popular 46 greenhouse is relatively simple to construct using the comprehensive instructions which have excellent illustrations. Fast UK customer support is available should you have any problems. This greenhouse is supplied as a self-assembly product. All heights include the optional 5" Galvanised Steel Base. If you choose not to have this base, you will need to supply a raised strip of timber, metal or brick beneath the aluminium framework, to accomodate the lips of the lowest profiles. 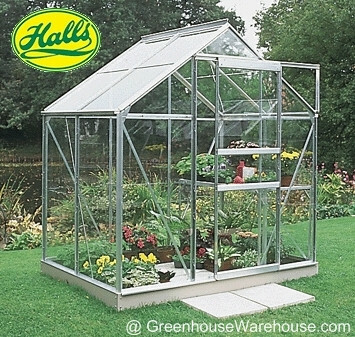 The Halls Popular 46 greenhouse is available in plain silver framework or in a green powdercoated finish, which is baked on.